WOOT WOOT – I just finished my 44th spin around the sun and this is my day. I love celebrating my birthday. My parents stopped celebrating it when I was 4, so I try to make up for it as an adult. Not quite the same, but I still love having a special day! To celebrate I’m taking time for the next couple days to sew. 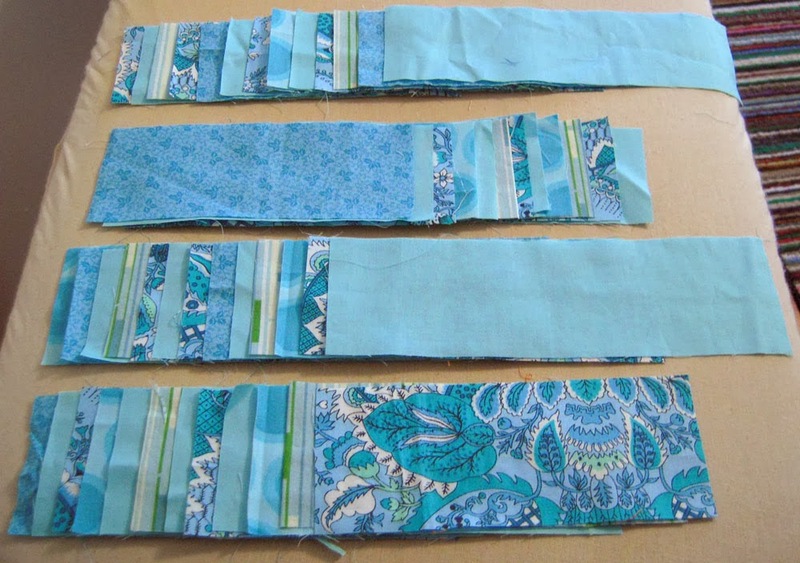 Yesterday I made these strips for the border of the unbe-weevil-ble quilt. It finished at 76″ square. The points aren’t perfect, but so much better than past projects. I would say, progress was definitely made in the 1/4″ seam department! I’m so anxious to start quilting it, but I need a back for it first. 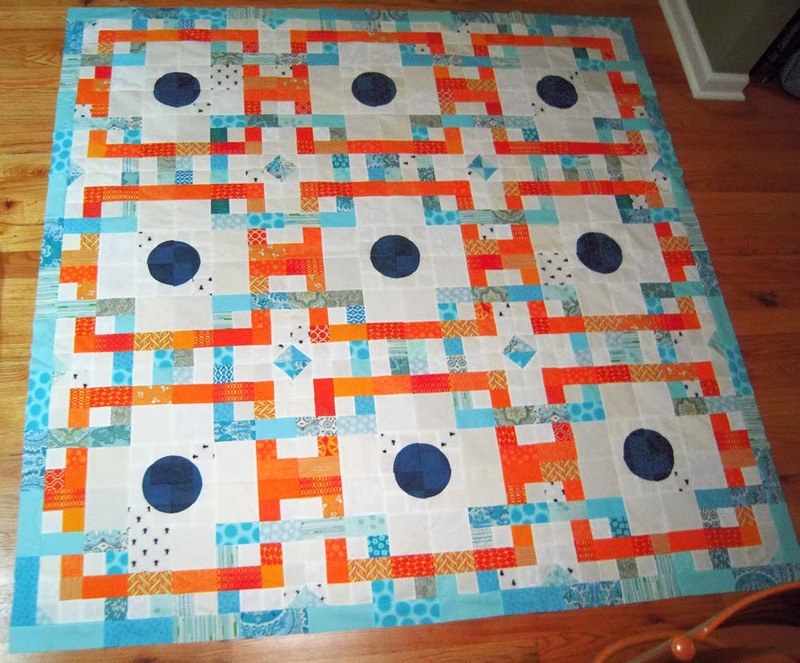 I might piece something together, because 2-sided quilts rock… and I love improv piecing. It just means I have to be patient for the quilting bit. Tonight I’m going to sift through fabric for the next hexie project. I have a lot of small pieces of fabric in big plastic tubs that I haven’t looked at since we moved this summer. Funny how 20 years ago I would have needed to be seriously drunk all week to feel like it was a celebration. Now, a little chocolate, a movie, and a big bin of fabric is pretty much all it takes to keep this girl happy! Gail, Happy Belated Birthday! 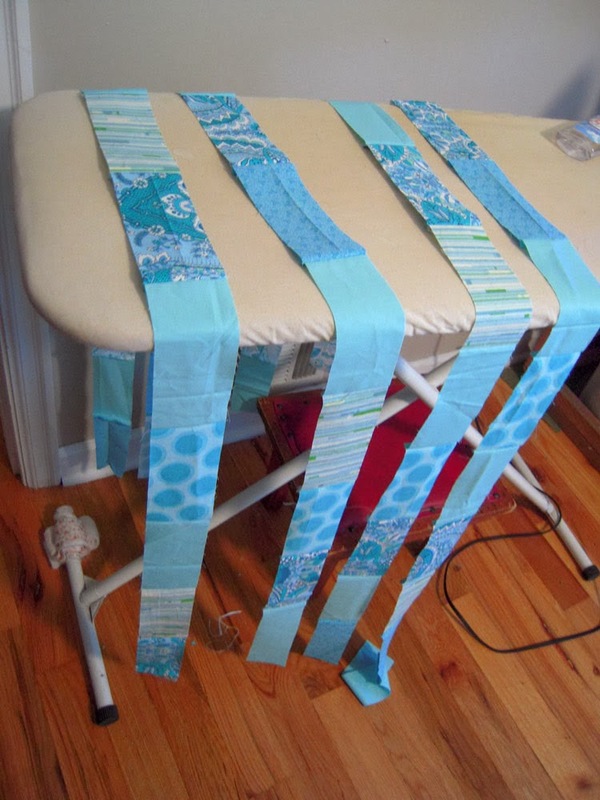 Your quilt turned out beautifully — love how the aqua strips around the edge tie everything together!